Independently rated #1 for seven years running 2010 - 2016! 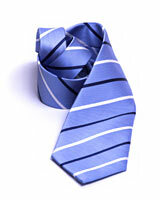 Highest Quality - The same 100% silk, designer neckties found in upscale menswear stores! Backed by our exclusive "They'll Love It!" Guarantee! FREE SHIPPING every month in the Continental U.S.! Personalized gift announcement and Necktie Lover's Newsletter! A gift membership in the Tie of the Month Club is a gift every man will appreciate! Every month they'll receive a new, ultra-stylish designer necktie direct from fashion capitals all over the world. Every selection included in our necktie club has met the exacting standards of our team of menswear-professionals who view dozens of incredible-quality, 100% silk neckties every month when making their selections. Only the very best make the grade for our members. We offer 3, 6, and 12 month tie clubs and the Tie of the Season Club with new deliveries four times a year. Don't settle for second best! As the top-rated provider of gift of the month clubs, you can rely on us to deliver only the most luxurious neckties month after month. And every order is backed by our industry-leading 100% Satisfaction Guarantee. It's an easy decision because they're going to love this gift... guaranteed! Premium-quality, designer ties every month! Necktie Club Newsletter with every delivery! Shipping is FREE every month! 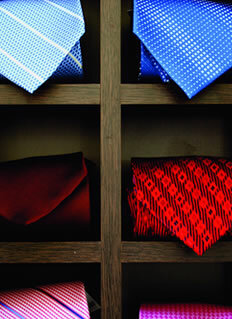 The Best Selections - The same neckties found in upscale stores across the country. A Gift They'll Appreciate, and Anticipate, Month After Month! When you give a gift from Amazing Clubs, you're giving a gift they'll love not just once, but month after month, after month! We sample thousands of gourmet items every year searching only for the best of the best for our members and, with 40 different clubs to choose from, we're proud to be the largest and highest-rated provider of gourmet gift clubs in the world. Looking for the perfect gift? You've found it! After all, with more than 2,000,000 satisfied customers, we must be doing something right!